Ever heard of the Nike MAG? Of course you have. Until now, it was “the greatest shoe never made”. This incredible shoe was featured in Back to the Future II, and captured the imagination of millions of people all over the world. 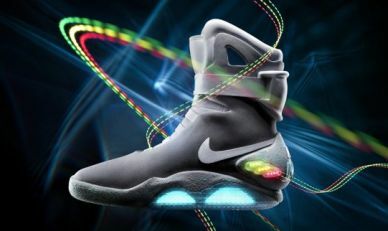 Well, now the Nike MAG is real — at least for a short time. Nike will only be selling 1500 pairs of this amazing shoe, which is sure to be a collector’s item for years to come. Where can you buy it? Well, the shoe is currently up for auction by Nike on eBay. The auction started on September 8th, 2011 and will run until September 18th, 2011. All proceeds from these auctions will be given�directly�to the Michael J. Fox Foundation, which is a charity organization that funds research for�Parkinson’s�disease.